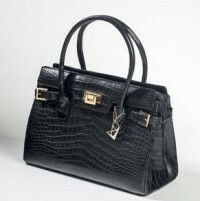 PANDORA RANGE: Described as the first woman on Earth, Pandora is “the mother of all handbags”. 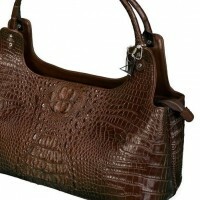 All Handbags in this range are renowned for their perfect equilibrium of size and beauty. Embellished with a 9ct and 18ct solid gold and solid silver emblem that was crafted and Hallmarked in the UK by one of UKs most talented and up and coming jewelry designers (Wentworth Jewels) who apart from sharing OUR common passion also happens to hail from Byron Bay, Australia. An Exotique Location indeed! The Pandora range simply says “Big is Beautiful” and they are created to be worn, not just carried.